There is nothing better than unlicensed handmade paraphernalia, especially when it comes to cultural items of the British Empire. 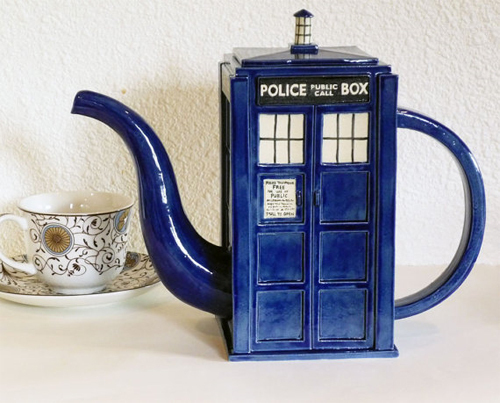 The Doctor Who Tardis Teapot is a stoneware teapot formed into the shape of a blue police box. It might not travel through space and time like the Tardis from the BBC series Dr. Who, but it will get you through tea time just fine.